Nokia Music is finally coming to the US. Nokia officially announced today that its popular music service (popular everywhere else) is fnally coming to the US to compete with the likes of Pandora, iHeart Radio and the rest of them. Those are pretty decent competitors, especially here in the US where they are King. But Nokia has got an edge, their music service will come pre-installed on new and upcoming windows Phone and it has added features like finding nearby gigs/concerts of your favourite artists near you! NEW YORK, NY – Nokia today announced the launch of its free music streaming service Nokia Music in the USA. 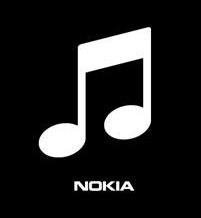 Nokia Music is a free mobile experience exclusive to Nokia Lumia handsets, providing consumers with a simple and delightful way to discover and enjoy music. Beyond the curated playlists, music fans can create their own personal soundtrack by selecting the Nokia Music ‘CREATE’ function that taps a library of millions of songs and generates a playlist based on, and inspired by, the artists they love. For maximum convenience, Nokia Music playlists can also be enjoyed offline so consumers can listen to their favorite playlists anytime, anywhere – perfect for a long flight, journey to work or train ride. To enhance their music experience further, consumers can use Nokia Music’s ‘GIG FINDER’, which locates a consumer’s position and pinpoints live concerts, gigs and shows taking place in their local area, taking their level of interaction with their favorite artists beyond the playlist and Nokia Music’s mp3 store. “The USA is the most vibrant and competitive digital music market in the world – by a wide margin. We have worked extra hard to ensure our service meets the expectations of the demanding, active and inspired music fans in the USA. I would like to challenge everyone to try Nokia Music and see just how easy and enjoyable the service is to use,” says Jyrki Rosenberg, VP of Entertainment at Nokia. A separate announcement today will unveil a collaboration between Nokia Music, AT&T and Green Day around the band’s new album Uno. The promotion will see Green Day perform an exclusive concert and provide exclusive playlists to Nokia Music for AT&T consumers. Nokia’s Wireless Pad does more than just charge your phone?